Spencer M. Youell (Partner), was born in Philadelphia, Pennsylvania and was raised in Houston, Texas. He graduated from the University of Houston with B.B.A. and J.D. degrees. 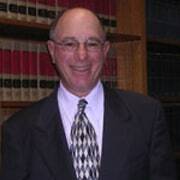 Mr. Youell began practicing law in 1966 and came to Columbus, Ohio in 1973. He formerly was an attorney with the National Labor Relations Board and Corporate Labor Counsel at Borden, Inc. Mowery & Youell was founded in 1983. Mr. Youell was Chairman of the Board of The Worthington Chamber of Commerce and is a member of the Board of Trustees of the Harding-Evans Foundation. His concentration is in labor and employment, corporate law and litigation before Federal and State Administrative Agencies.